Finally...time to move on to the opaque fabric paint. 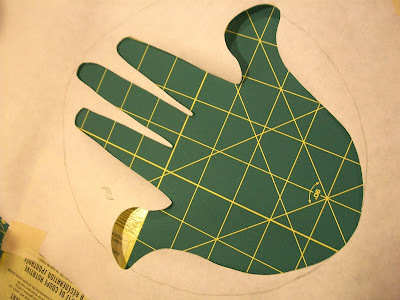 First, I had to cut some freezer paper masks so that I could work on the oval background and the hand separately. I also cut a mask to cover the area surrounding the oval and hand. I will be working on that part of the piece later, after I finish with the center area. 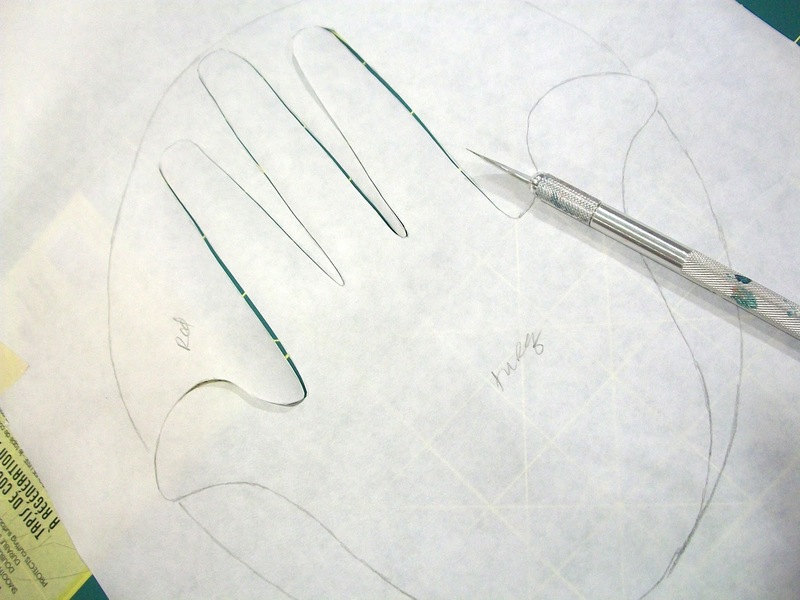 I decided to work on the oval areas around the Hamsa hands first. After cutting the freezer paper masks, I ironed them on to the fabric. Next, I mixed up some colors of opaque fabric paint. I rolled each paint color out on a glass palette with a foam roller (also called a brayer) to get an even coat on the roller. On the piece with the blue oval (and orange Hamsa), I rolled colors out on print blocks and printed the uncovered area with them. 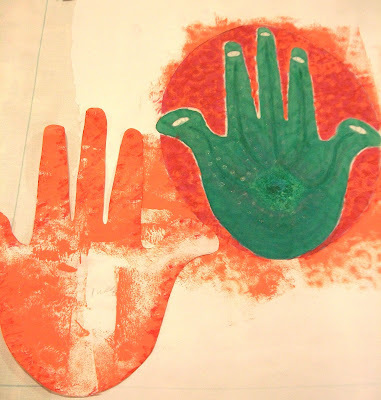 On the piece with the fuchsia oval (and turquoise Hamsa), I slipped a hot glue block design under the fabric and rolled the paint over the fabric to pick up the design (a "brayer" rubbing). 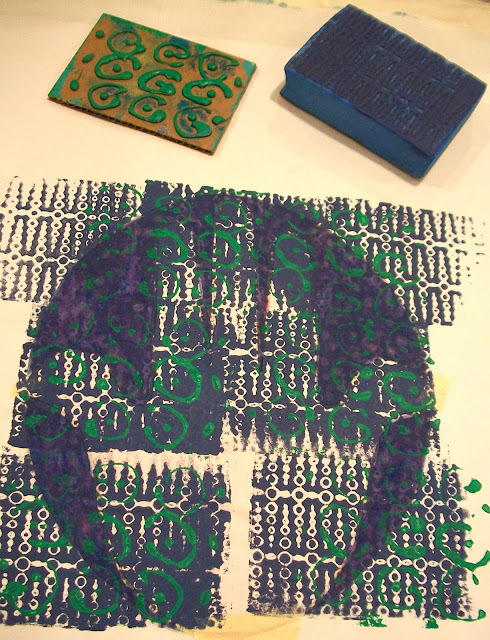 I then moved the block to offset the design and used one of the Pentel pastel dye sticks to do a rubbing. 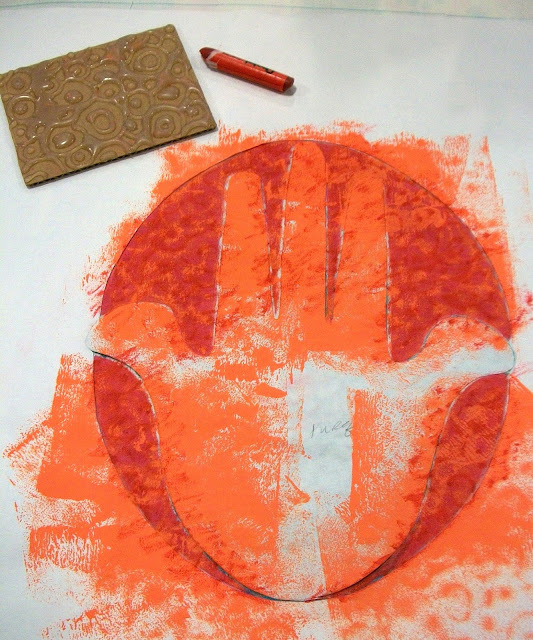 Now it's time to cover up the background and print the Hamsa hands. Won't be long before I remove all the glue! 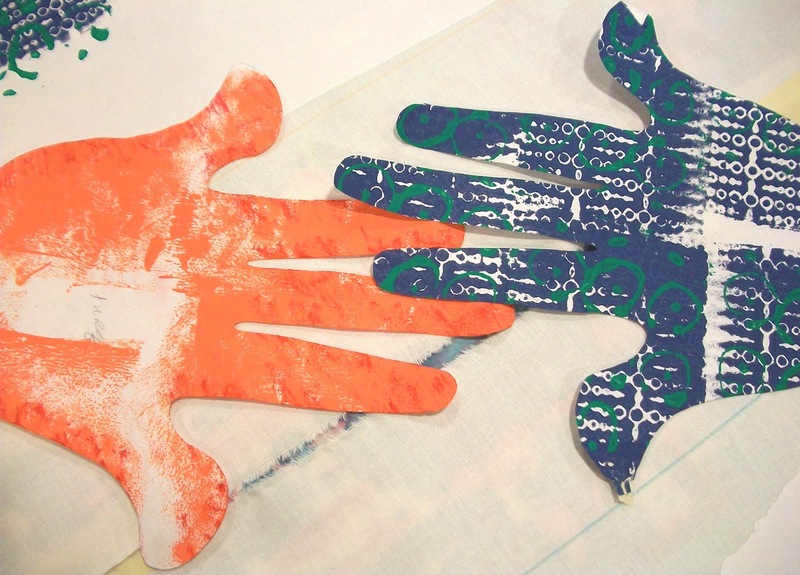 On to printing the Hamsa hands! What is that blue block made out of? The blue block is made from moldable foam. 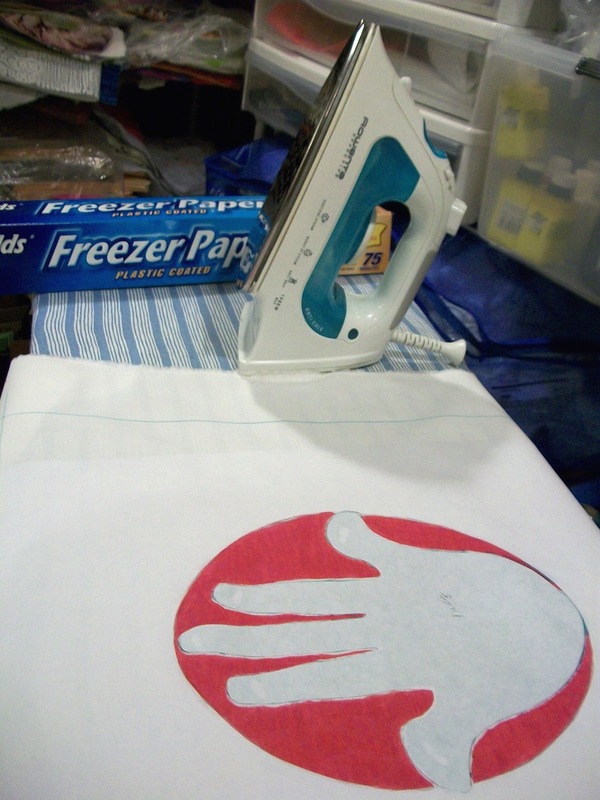 If you heat the block with a heat gun or embossing tool, it softens. Turn the softened block onto a texture and the texture will emboss in the block. I get my blocks fr Dharma Trading Company. I believe that they call them "moldable foam stamps." Hope that helps.